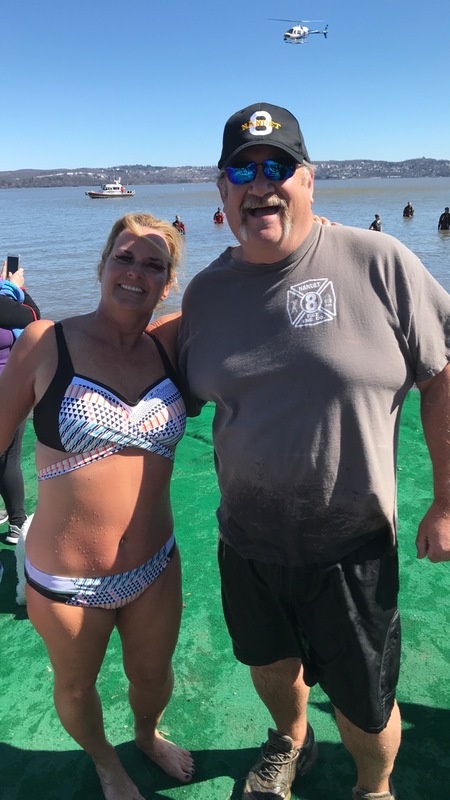 We were so honored this year when Harold Straut, legendary chili king, decided to go one step (into the Hudson River) further and planned to take the Penguin Plunge. Excited, he shared the news with his family and friends. One particular friend, Tracey Horan, determined that if Harold went in, she would also. Furthermore, Tracey decided that it was a case of go big or go home, and she created Team Tracey Taking Harold Down. Smack talk ensued as both sides engaged their communities in supporting the plunge, with both teams feverishly getting donations for their side. Ultimately, these two titans together raised over $5000. Who won???? Team Tracey prevailed raising more than Harold, but as Harold graciously pointed out. it was the kids who won! We want to thank these two friends for creating a fun event and for helping these families. We would say with friends like that, we are all blessed. Thank you Harold and Tracey!! !